Just like last year, we’ll keep a blog post updated on Black Friday and Cyber Monday to track the best deals online. In the meantime, we offer this guide with 5 tips for anyone planning to upgrade their PC or build a whole new one on Black Friday. Make a list of list or spreadsheet of components you plan to buy in the event that you find it on sale. 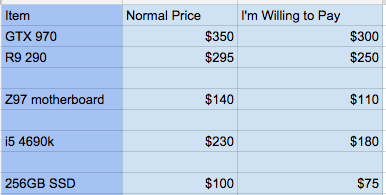 We find it helpful to list both the normal price and the price you’re willing to pay on sale. Knowing your trigger point ensures purchase decisions only take an instant. Notice that we didn’t list brands or models on our spreadsheet? Sometimes you can find an incredibly good deal on a component if you’re willing to compromise by not having the best warranty or the flashiest looks. Like we said, we’ll be tracking our favorite deals right here on this blog. 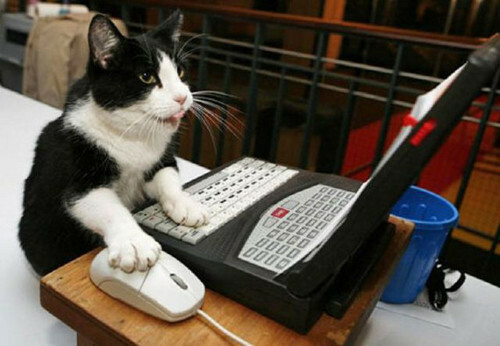 For other resources, we also really like the Black Friday forums at Fatwallet and Slickdeals. 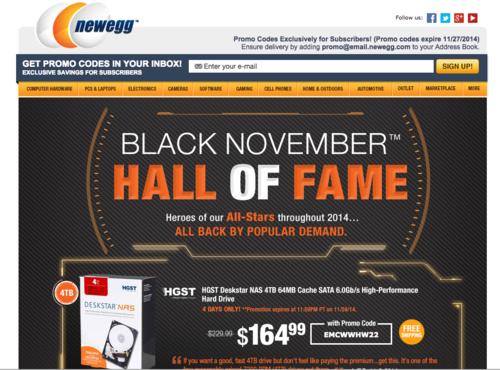 Newegg and Amazon both have pages dedicate to PC components for Black Friday and Cyber Monday. Newegg’s e-blast newsletter is probably the single best daily email for deals leading up to the big day. They’re already sending out emails with pre-Black Friday deals. You can always unsubscribe after Cyber Monday. Hopefully these tips will help get you in the right mindset to optimize your PC-related Black Friday shopping. Good luck out there!